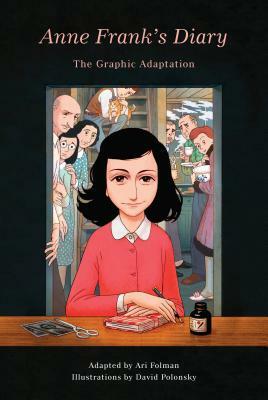 ANNE FRANK was born in 1929 in Germany. Her family moved to Amsterdam in 1933, and she died in the Bergen-Belsen concentration camp in 1945. ARI FOLMAN is a director, screenwriter, and film score composer. He has written for several successful Israeli TV series and was the director and writer of the Oscar-nominated Waltz with Bashir, as well as The Congress, and is working on an animated feature based on The Diary of a Young Girl to be released in 2019. DAVID POLONSKY graduated from Bezalel Academy of Art and Design, Jerusalem. His illustrations have appeared in most of Israel's leading newspapers and magazines and he was the art director and lead artist for the Oscar-nominated Waltz with Bashir. He has illustrated a number of children's books, and received the Israel Museum Ben-Yitzhak Award for the Illustration of Children's Books in 2004 and 2008. Since 1999 he has taught animation and illustration at Bezalel Academy of Arts and Design.